Recently, I was contacted by the owner of Kink LLC, which is in the testing and developement stages of producing a male enhancement lipstick. The owner, a woman named Laura Carter, asked if I would be interested in testing her product out and give her my feedback. Being the “chap stick” aficionado that I am, I was intrigued by the idea of a lipstick that may act as a potent aphrodisiac and agreed to test out a tube. I recevied my sample about a week or two later, and below is my personal experience with the product. What is Kink Lip Balm? of right now there are a couple of local stores that are promoting the product, and one retailer selling it online, but it was still in the very early stages of development. The ingredients in Kink Lip baln include beeswax, coco butter, coco nut oil, horny goat weed (epimedium), catuaba bark extract, and honey. 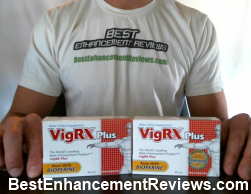 The most potent ingredient in the formulation would easily have to be horny goat weed, which is found in 90% of male enhancement pills, patches, gums, strips, and oils such as vp rx oil. Catuaba bark extract is another major ingredient in products such as these,and has been used in traditional brazilian medicine to help patients with erectile dysfunction. I started using Kink pretty much the day I got it, and there were no exact directions as to how much you should apply per day. Since it uses an alternative delivery mechanism for these ingredients, the theory is that it should start working once they enter the bloodstream. I used Kink lip blam for about a week, and really did not get any results from it. I had spoken with the owner of the company, and she told me that her husband experienced the same results. However, she did mention that she had given out samples of her product to female friends, and much to her surprise, they experienced favorable sexual results. As to why it did not work for me, or other men for that matter, is a bit of a mystery. It could be a placebo effect, or it could simply be that women respond differently to the product for some weird phsiological reason. While this is the only lip balm of it’s kind, this may be the reason why larger companies have not developed anything. As of this review, the only place you can by Kink male enhancement lip balm is online, through a vendor called Bonanza.com. It retails at $2.50 per tube, and normally ships within a few days of ordering. Their is no official Kink Lip Balm website according to our research. The fact that it is the only lip balm of it’s kind is a very novel idea, and I personally wish the company nothing but good fortune. 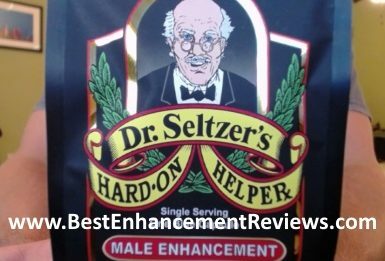 In the vast and often competitive world of male enhancement, they just might have found a niche that has been totally un exploited. That being said, I think the manufacturers of Kink Lip Balm need to add other ingredients such as ginseng, ginkgo biloba, tribulus terrestris, and others in order to increase the effectiveness and results.